Annuities can provide you guaranteed income for life in any market. Security of your principal with an ongoing income. Retire with confidence, have a plan for success. 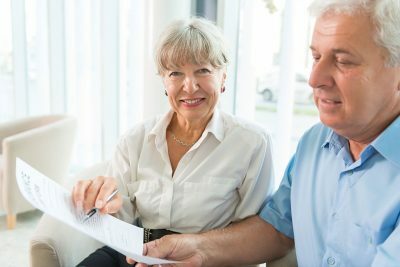 Estate planning for your golden years. Expert advice tailored for you personally. We take your objectives and your concerns to come up with a plan that works for you and your family. Select the lifetime option and have a guaranteed stream of steady income payments for the rest of your life. Avoid stock market volatility. We can show you how to use annuities to secure your principal and still enjoy growth. We can help you outperform CDs and Government bonds with annuities that preserve your principal. Annuities can be complex and confusing. We can teach you what you need to build your security and avoid the pitfalls. Do you want more money for your retirement? Get your free consultation now. We can show you how to make your golden years filled with a little more gold. This consultation comes with no obligation. We show you how to enrich your retirement but you are not required to buy anything. Disclaimer: This is not investment advice. All information on this website is intended for your educational purposes only and is not intended to make a recommendation that you purchase an annuity. We are not liable for any potential damages that may be incurred from this information or your use of it. You should always consult a licensed financial or insurance professional and complete a suitability review before investing. Detailed product information such as Surrender Yields, Premiums, Age Restrictions, Riders, Fees and Withdrawals provisions may vary by product, and can vary based on state availability and are subject to change without notice. Some products are not available in all states, and will be provided by a licensed Annuity Agent. The optional lifetime income benefit riders are used to determine the lifetime payouts only and are not available for cash surrender or as a death benefit unless stated in the annuity contracts and any attached riders, endorsements and amendments. Some fees may apply which are listed in your contract. Surrender fees apply to the base contracts. All guarantees are based on the financial strength and claims paying ability of the insurance company. They are not FDIC or NCUA insured. It is very important that you read all of the insurance contract disclosures carefully before making any purchase decisions. This does not represent taxation, legal, or investment advice. Want help with your annuity? Want to increase your nest egg by over 400%? © Copyright 2018 - Evergreen Financial Group, All rights reserved. Stay updated with all the latest articles, upcoming events & much more.